Wow! When the other ladies said it was hard to choose a Featured Stamper for their week...they were right! I'm so glad so many participated using the colors I chose but it sure did make it even harder to choose!!! Isn't that image just the cutest? I love how her outfit coordinates with the colors in the challenge! Great job Lisa and thanks so much for trying out my color combo!!! 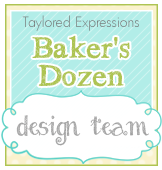 Please contact me through my blog at Crafty Thoughts and I will send you your Featured Stamper blinkie! Lisa now stands the chance to be a Guest Designer on the Color Throwdown blog for one of the challenges next month...see THIS POSTfor all the details. Thanks so much to everyone who played along with my combo. I certainly was inspired by your creations and I hope you'll play along with our next challenge hosted by Barbara! WOW ... congratulations to Lisa! 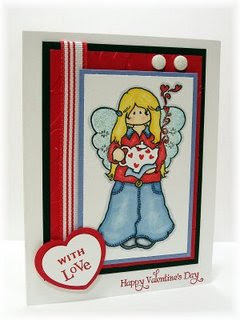 What an adorable card ... great coloring on that sweet, sweet image!! Congrats Lisa! Super cute card!! Congratulations, LIsa!!! You rocked the challenge! What a super sweet card - that image is adorable! Congratulations, Lisa! Your card is wonderful and you are so deserving! Darling card with a perfect layout!